Garnett's energy was outstanding in his return from injury Monday night. After missing nine games with a calf strain, the return of Kevin Garnett gave Boston the spark it needed to run past the remade Orlando Magic 109-106 Monday night. The Celtics seemed to lack much intensity in their previous four games, but there was no question KG had returned to the floor in Monday night’s thrilling victory over the Orlando Magic. On a critical Magic possession with 16 seconds left in the fourth quarter and the C’s holding a three-point lead, Garnett’s rotation on a Jameer Nelson pick led to a game-sealing steal to extend the C’s win streak to three. KG produced 19 points over 31 minutes while adding two steals, two assists, and a team-high eight rebounds. 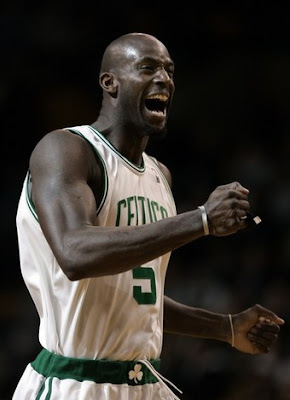 In his first game back, Garnett had a performance reminiscent of what he looks like when he’s healthy. 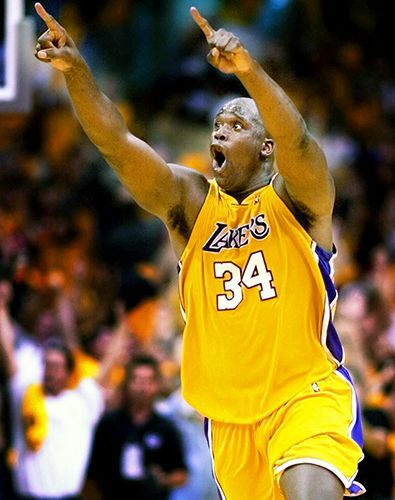 Garnett crashed the boards, looked excellent on rotations, and was money from mid-range. His game brought an extra level that produces more than statistics though. His all around energy and intensity on the defensive end brought another gear to everyone on the floor with him. Ray Allen was able to find open shots, Rajon Rondo penetrated the lane with ease, and Shaq had a quality outing regardless of being in foul trouble most of the night. 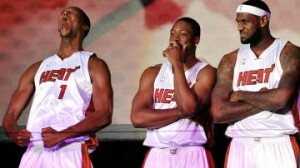 The Miami Heat have spent a lot of money to have three superstars, but can that bring them a title? The NBA offseason was dominated by discussions about the Miami Heat and their acquisition of LeBron James and Chris Bosh to go with proven star Dwyane Wade. Many have predicted that these additions have not only made the Heat the most talked about team in the NBA, but also a prohibitive favorite to win multiple championships over the next several years. 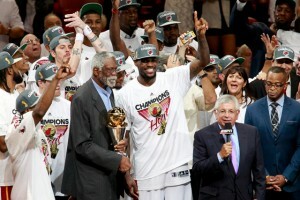 However, with the Orlando Magic, Boston Celtics, Atlanta Hawks, Chicago Bulls and Milwaukee Bucks all are aiming to spoil the party for the Heat. On opening night the Celtics reminded the Heat that they are still the conference champions with an 88-80 victory over Miami. With a bulls eye squarely on their back, the Heat will face similar challenges every night as they look to build team chemistry and look to live up to the hype.